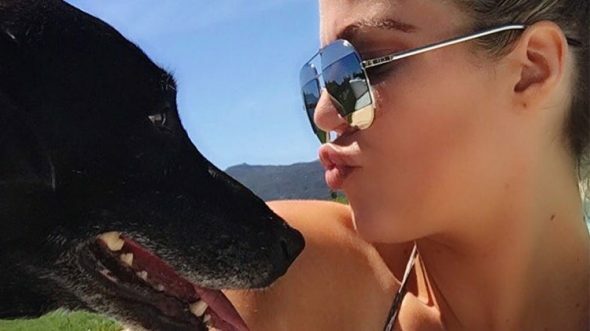 Whether you’re a reality TV fan or not, something we can all empathize with is the loss of a beloved dog. 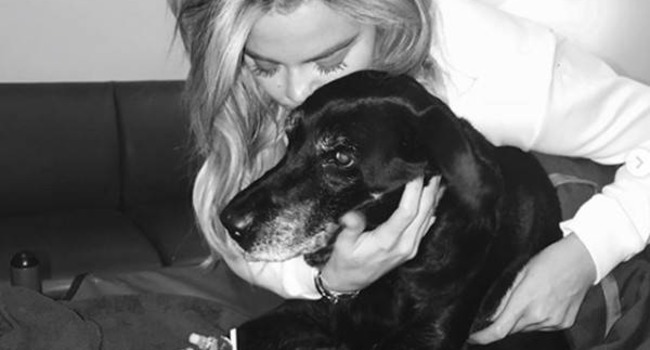 Khloe Kardashian took to social media on Tuesday to bid a public farewell to her longtime canine companion, Gabbana. Days gone by: Kardashian poses with Gabbana. Kardashian, who is currently expecting a child, took custody of Gabbana when the dog was 11, following the divorce of her mother, Kris, and her stepfather Bruce Jenner — now Caitlyn Kenner. The black lab was originally adopted with another dog, the aptly named Dolce, a Chihuahua.